Should the bullpen be a concern for the 2014 Red Sox? Spring ball can be deceiving. That’s never more obvious than at Fenway South, where if you see David Ortiz bat over .100 something is drastically wrong. Today I’m going to focus on the happenings on the other side of the ball. When I look at the list of guys who threw, but didn’t start a game this spring, it takes a while to filter through them all and get an idea of who to talk about when it comes to specifics. The two relievers from Spring I’m going to do a brief focus on today are Jose Mijares and Rubby De La Rosa. De La Rosa has also been a player who made me feel uneasy when he was called into a game. His 4-7 lifetime record with an ERA of 4.21 and 69 hits given up from just under 73 innings of work give me the feeling that I might be right. At 7.36 his ERA this Spring could be mistaken for the price of a Taco Bell value meal. He gave up more hits than he pitched innings, struck out 1.25 guys a game and somehow manage to have a .382 BA against him in the process. How do these numbers support getting a look in at Big League camp, let alone the steady flow of action he’s gotten at Fenway? Mijares fared better than De La Rosa, but was by no means great. Sure, he had a 5.14 ERA from six appearances, but he doesn’t have any of the other horrendous numbers we saw with De La Rosa. Four runs on eight hits doesn’t look good, but unless you saw him pitch in every game he played this Spring (which I certainly didn’t), then you aren’t going to get the full story. The 1.58 WHIP came in at 0.2 higher than the MLB average. I think that had he not opted out of his contract, then he may have been able to find a spot at Fenway at some point in 2014. One of the ways that the Red Sox like to break hearts is to give up runs at the worst possible time (Brandon Workman, anyone? ), but I think the cause for concern runs (no pun intended) much deeper. When you look at the 2013 season, it’s easy to see that we got the World Series title we weren’t expecting, and that should be enough for us to consider the season a success. We were lucky, and I don’t think there are many Red Sox fans who don’t know that. If Myers makes a regulation catch, if Detroit played a bit smarter and if Ortiz didn’t have the hottest run I’ve ever seen in the Fall, then we may have been waiting for the Home Opener against the Brewers, wondering what might have been, rather than watching probably the most emotional Ring Ceremony of the last decade. The Red Sox pen had the 21st best ERA in the Majors last year (3.70), which put them at 10th in the AL. As if this was a stat that wasn’t concerning enough, the OBP of opponents of the Red Sox pen was a staggering .320, a number high enough that only nine clubs registered a higher opponent OBP. 24 Blown Saves is a number that should leave all fans wondering where we go from here. Why? Because it’s stats like this that cost us the Division, which isn’t exactly a pretty thought given we play in the toughest division in the game. On the flipside there were only nine IBB issued by the Red Sox relievers throughout the season, and the faith that any of them can throw at anybody on any given day is certain an asset we are lucky to have. 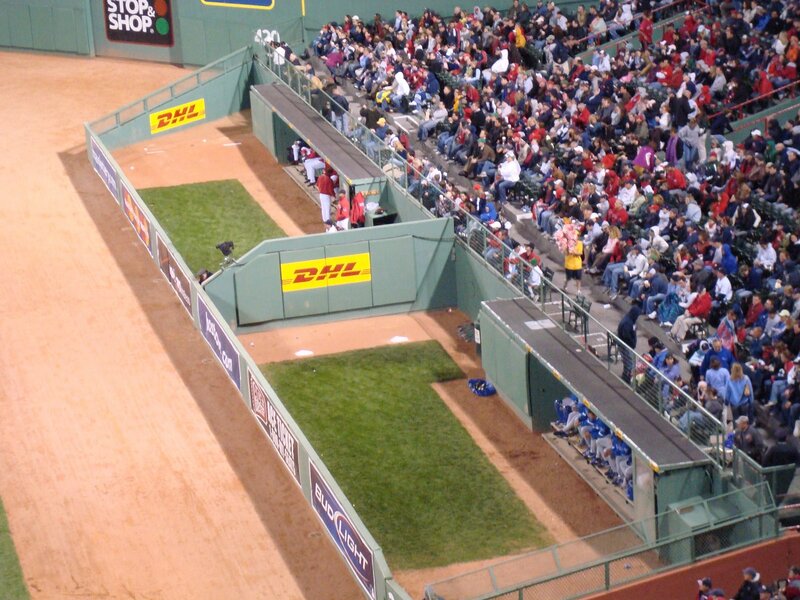 Do you think the Red Sox should be concerned about the bullpen in 2014? This entry was posted in Published on xavierplayer.com, Written and tagged Red Sox. Bookmark the permalink.